Well done von Noop Nabber! I gather from the wrapping and the background of the photo you've been skulking about the Telford area......? Those two beauties will keep you busy for a while! No, a friend picked up a couple for me and a mate. Hi Marc , as far as I understand the D.V didn't have it's tail skid wrap and should be wood . Have you you looked at WNW site at the photos to see if this is correct for the Red Baron schemes ? Delivered right now, at a first look it's top quality as expected. Great purchase Giuseppe, it looks beautiful, can'wait for your WIP!!! Well, there's not much happening on this thread so just adding a few that came my way... a bit of expense for sure, but not so bad... the top two come via a large mail order shop in the UK; some pre-release special prices and bulk postage (with friends) kept the price down when landed here in South Africa, lucky with import duty and life is good! The bottom two come from a collector in South Africa selling off: now the biggest problem in getting a good price overseas is postage, can be 70 USD easily to USA from here for instance! So selling locally becomes a better deal and these came at more than a fair price.... Really grateful!! Lots of plastic... too little time! 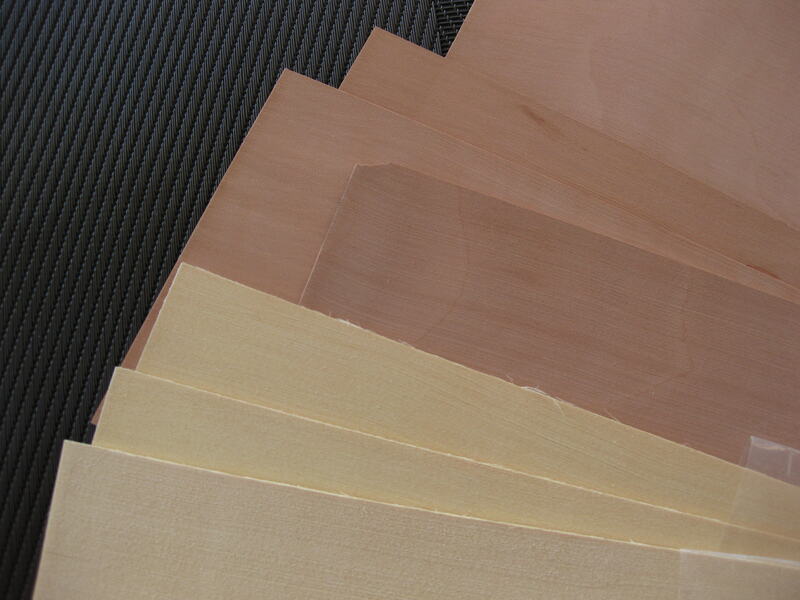 I received this order yesterday, sheet veneer for making my laminated and carved props. My supply of veneers was running very short and on the recommendations of Frank (Bug Hunter) to source some more suitable woods, and Alistair (Aliluke) who recommended a supplier I ordered several sheets of 1:32 Inch thickness Swiss Pear and Alaskan Yellow Cedar from the Syren Ship Model Company of Rutherford NJ, USA. Great service, reasonable pricing, and I really like the product. It's clear and tight grained and should be well suited to the purpose. My CSM 1/32 Nieuport XVII (Late) arrived yesterday. What a beauty! I'll not bother with a pic of the box since by now everyone knows what the kit looks like. I'd say it's in the same league as WNW kits and IMHO the instructions are actually better. While they lack the period reference photos I think find the construction diagrams are clearer and more detailed, especially the rigging and control lines placement. Looking forward to starting this one soon! Just received my Seaplanes of Bocche by Boris Ciglic. Great book with lots of photos and good colour profiles. Shipped quickly and well packed. Steve, where did you get or order this, my friend? Sounds like a great book.